Is TD Ameritrade down today? Check the status of service and website server if you have issues or it is not working totally. 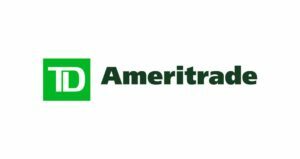 TD Ameritrade is online broker firm & service provider, it is a public company established in 1971. Customers can trade preferred stocks, futures, ETFs, Options; moreover other services are mutual funds, fixed income, margin lending and cash management services. With respect to the last estimates; there are about 6,641,000 customer accounts at online portal. These accounts have funds in them and are in operational status. The problems with website are reported most commonly, however they are rare in number. If you have any issues while buying and selling on TD Ameritrade website, you must report them here. There is also a list of reports at the bottom, what others are saying about TD Ameritrade issues. The status graph available here, shows you the number of issues which we detects today.